Gorgeous outdoor wedding venue with native garden setting. We loved when our daughter Isobel danced in front of the crowd during our vows, trust a 2 year old to steal the limelight, but we wouldn’t have it any other way, weddings are about family and we were so lucky to be able to celebrate our special day with our gorgeous daughter alongside us. Peppers Moonah Links Resort has an abundance of picturesque ceremony and reception venues set amongst ancient rolling sand dunes and the local Moonah trees. 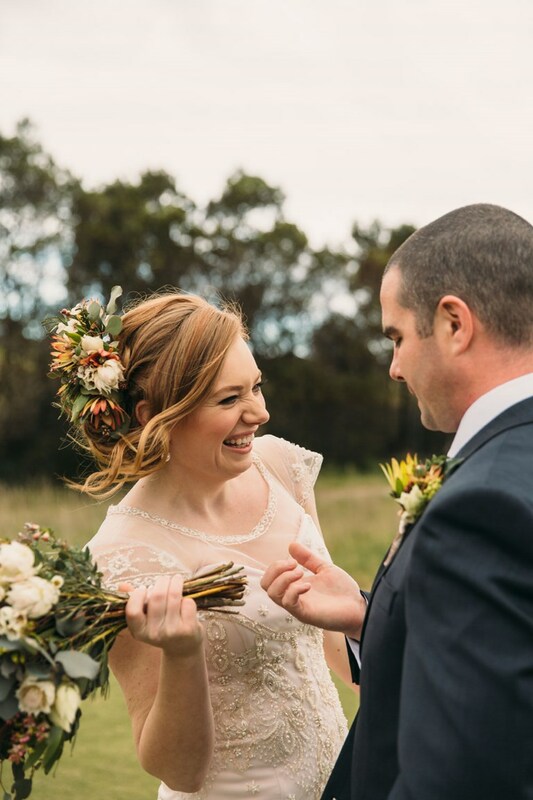 Located on the Mornington Peninsula just over an hour’s drive from Melbourne, the resort caters for small, intimate celebrations through to lavish affairs for up to 150 guests. The experienced wedding team will take care of every detail in the days leading up to and on your wedding day.